In general, blockchain is a decentralized ledger or a list of records. It received its name because of the work process: all information is gathered and divided into blocks which are united into a chain, using cryptography. So, each block of blockchain stands for a record of transactions and the chain links them all together. When a transaction is recorded, it is confirmed by a distributed network of computers and got a connection with all previous blocks in the chain. The manner of its work makes the system trustless: once the information is recorded in a block, it references the previous block and nobody can remove it without changing the whole chain, i.e. it is impossible to edit a block unnoticed as it would break the cryptographic link to all the blocks that follow it. One more key attribute of the blockchain technology is decentralization that refers to the fact that a system cannot be stopped and easily hacked as no center exists. The concept of decentralized network supposes the data to be everywhere. A blockchain’s database isn’t stored in one place, which could be controlled by a single party, but rather it is managed by a great number of computers at once. While it is not governed by a central authority, it still needs someone for its maintenance. This role is played by the cryptocurrency miners who add transactions to the ledger and keep a copy of the blockchain. 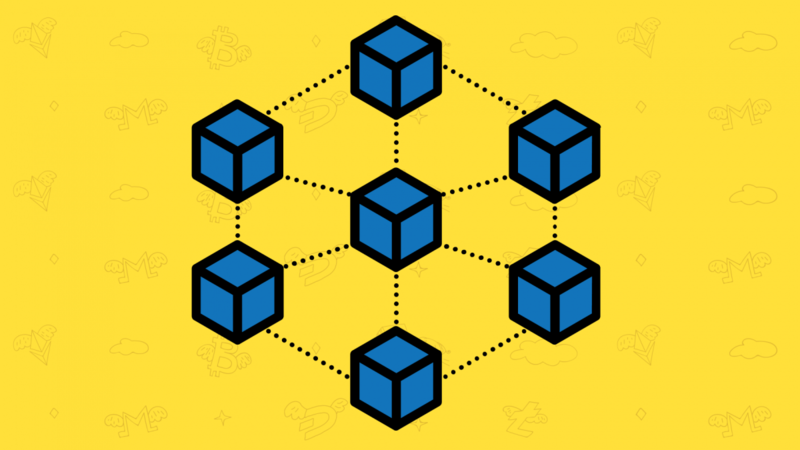 Here we stumble upon the key problem of blockchain, as it requires constant large amount of computing power from several different sources to keep it up. This significant obstacle was overcome due to the creation of major cryptocurrency platforms (e.g. Bitcoin, Ethereum). To have a closer look into this issue, let’s take a deeper insight into its history. Before Blockchain was ever used as a part of cryptocurrency, its concept had been widely discussed in computer science. A start was made in 1976 by the paper “New Directions in Cryptography,” standing for the idea of a mutual distributed ledger, and developed into Merkle tree known as an important key to database verification throughout the history of computers and one of the basic principles of today’s blockchain. This way of data organisation was patented by Ralph Merkle in 1979, and functioned by verifying and handling data between computer systems. However, the technology required powerful computers, which was the reason to wait for another few decades to make the idea viable. Still in 21 century blockchain operation is expensive and it stands for the reason that only Bitcoin gave a starting point for the introduction of blockchain technology as it solves the problem of motivation by offering a financially reward for miners, i.e. it has become profitable for both parties. So, in 2008 the first recorded mention of blockchain technology appeared in a document published by the Bitcoin founder, known as Satoshi Nakamoto. Bitcoin was claimed to contain a secure history of data exchanges, provide a peer-to-peer network, verifying each exchange, and could be run autonomously without a central authority. That is how the today’s blockchain was born together with the world of cryptocurrency. Public blockchain represents an open source which anyone can join. It stands for permission for everyone to validate transactions in the network, participate in the consensus process, send transactions and read them on the public block explorer. Such blockchains are generally considered to be “fully decentralized”. As for example, the most famous ones are Bitcoin, Ethereum, Litecoin. Consortium blockchain stands for a blockchain where the consensus process is controlled by a pre-selected set of nodes, the right to read the blockchain may be public, or restricted to the participants. These blockchains may be considered “partially decentralized”. As for examples, R3,B3i, EWF and Corda can be mentioned. Fully private blockchain refers to the fact that the opportunity to write is kept centralized to one organization, while read permissions may be public or restricted. Applications, based on such blockchain, include database management, auditing, etc internal to a single company. As for examples, Multichain, MONAX exist nowadays.